Colorado’s eastern plains are probably the last place a person would expect to find a hydroelectric project installation, but that’s exactly where Poudre Valley Rural Electric Association member Jim Park’s micro hydro generator is planted — along an irrigation ditch on his farm 8 miles east of Kersey, to be precise. The 25-kilowatt generator turns out enough power to run the center pivot on his farm’s sprinkler, which waters 100 acres of corn and alfalfa throughout the growing season. As the name implies, micro hydroelectric projects are small installations, generally up to 100 kilowatts in size, according to Sam Anderson, energy specialist and program administrator with the Colorado Department of Agriculture. Growing federal and state support for renewable energy production, particularly through the Colorado Department of Agriculture’s ACRE3 (or Advancing Colorado’s Renewable Energy and Energy Efficiency) grant program, is a big driver for increasing interest in agriculture hydropower across Colorado, which has some of the best incentives in the nation. “Since we started this program, Wyoming and Oregon have been working on developing similar programs, so it’s making an impact,” Anderson said. It was his own lifelong agricultural background and experience as a PVREA board member for more than two decades that helped foster Park’s interest and knowledge in ag-related hydroelectric generation. Through his own research and assistance from Fort Collins-based Community Hydropower Consulting, Park took advantage of grant programs through the Colorado Department of Agriculture, the U.S. Department of Agriculture Rural Development and the USDA’s Natural Resources Conservation Service. All three were coordinated under the Regional Conservation Partnership Program, which provides a means to stack the three sources of funding as part of its mission to promote conservation activities led by local grassroots initiatives and supported by the USDA. “Jim was one of the first to take advantage of the program,” Anderson said. He noted that, while most of the state’s agricultural hydroelectric projects are on the Western Slope, there are plenty of potential generation sites east of the Continental Divide. “It only works well with gravitational energy, but there is a surprising amount of opportunities in Weld County and the Front Range,” he said. Park had his eye on his farm’s hydropower site for years. Placing the turbine at the bottom of a 25-foot slope in his irrigation diversion off the Lower Latham ditch made sense in terms of water efficiency improvements. “Many times I’ve watched that thing and thought that would be interesting to put a generator on it,” Park said. Park’s quest led him to the Ossberger manufacturing company in Germany, where micro hydropower projects are relatively prevalent. Founded in 1873, the company’s patented flow turbine was developed to work with small water power resources. Park’s cross-flow turbine was manufactured specifically for his land elevation, water volume and generation needs. The unit took a six-week journey on a container ship to the United States before it was installed. A control panel with a trash collector screen was then set up as was a new net meter, and on June 26, 2017, the cross-flow turbine began generating power. Park’s 260-acre farm was homesteaded by his great-grandfather in 1888 and is designated a Colorado Centennial Farm, meaning it has been owned by the same family for more than 100 years. His father was born on the farm in 1907 and Park lived on it his entire life, so it seems fitting that a historic power source, and one that makes the most of agricultural resources, found its home on the farm, too. “I’m very pleased,” Park said. Mary Peck is a freelance writer in northern Colorado with a background in the electric co-op industry. To learn more about irrigation hydropower and funding opportunities, an applicant navigation guide is viewable at colorado.gov/agconservation/hydro-navigation-guide. Get a quick view of the project at tinyurl.com/PVREAhydro. Co-ops face unprecedented challenges as the result of new distributed energy technologies, customer attitudes toward self-generation and state energy efficiency and renewable energy policies. At CREA’s Energy Innovations Summit October 30, the opening panel provided a coast-to-coast look at how the electric co-ops in several states are mapping a strategy for the new energy paradigm. Kent Singer, executive director of Colorado Rural Electric Association, moderated the panel consisting of Ted Case, executive director, Oregon Rural Electric Cooperative Association; Michael Couick, president and CEO, The Electric Cooperatives of South Carolina; and Mike Williams, president and CEO of Texas Electric Cooperatives. Singer posed the question of, after 80 years in the business, how do co-ops maintain relevance? Mike Williams responded that the biggest challenge is the co-ops themselves and that for the future, co-ops need to recognize that the landscape has changed. He said co-ops need to be forward-thinking and recognize co-op members’ needs and their desire when it comes to their electricity. Mike Couick answered that, as is true with phone technology, things have changed and member-consumers want choices. He stated that as co-ops are owned by the people they serve, they can either embrace their choices or fight them, and he chooses to “embrace innovation” and is willing to change along with the members’ choices. “Co-ops should discuss why they exist, and always be looking toward what is the next thing,” said Ted Case. “Innovation is key,” he continued, “and we have to find a niche.” He said that co-ops have the ability to do things that other models can’t. Further in the discussion, Kent asked if there needed to be a more centralized way that the country manages electricity. All three panelists agreed that there needs to be discussions about comprehensive energy policy. Case said it is important, though, to keep control at the local level. Couick noted that co-ops need to engage with their membership and listen. He stated that vision is key, and that co-ops can get vision from their membership. Dr. Martin Keller, director of the National Renewable Energy Lab, presented to a full room at CREA’s 2017 Energy Innovations Summit October 30. NREL is all about innovation. It has made advances in generating solar, wind, bio energy, as well as in transportation and grid integration. It has received 147 U.S. patents since 2011, and has 749 active partnerships with industry, universities and local governments. Dr. Keller noted that renewables are the new normal in the United States. The costs for using renewables are falling and will continue to fall, and yet the US is barely scratching the surface for renewable resources. According to Dr. Keller, NREL research shows that 80 percent of the electricity the U.S. will need in 2050 can be sourced from renewable technologies. Solar research shows that the cost of solar has gone down 96 percent and grown by more than 50 percent each of the past five years. It makes up 1 percent of all U.S. power generation. NREL wind research shows that innovations have driven down the cost of wind as much as 98 percent between 2009 and 2016. Wind supplies 6.2 percent of U.S. electricity. Dr. Keller did add that the increase in the diversity of renewables on the grid does require storage options since storage can make renewables dispatchable. And he said that in our modern energy systems, the grid can handle more renewable generation than originally thought. Electric markets were not originally designed for variable renewables, but they can be adapted, he said. “The old system is going through a tremendous change,” he said, and the challenge is how to develop this new model. He explained his grid modernization vision, noting that the grid of the future must be reliable, resilient, secure, affordable, flexible and sustainable. Is Energy Storage Going Mainstream? The electric industry’s “Holy Grail” is storage technology that can reliably and affordably store energy to complement intermittent renewables. A panel of experts from NREL, the Electric Power Research Institute and Tesla came together at the closing session of CREA’s Energy Innovations Summit in October to discuss how the storage industry is progressing. Electric Power Research Institute’s Haresh Kamath noted that the cost of technology has plummeted over the last two years, “reaching an interesting level” so that storage technology is applicable in niche applications such as peak shaving that can lead to asset deferral. He recognized that gaps to storage implementation include performance data, and understanding the value and the organizational adaptations of these new technologies. Bob Rudd, director of utility and microgrids with Tesla, talked about how in the storage marketplace there are technologies that help developers achieve future applications and move the industry forward. He gave several examples of operational, real-world storage technologies, such as the Kauai Island Utility Cooperative project and the Neoen Hornsdale wind farm. Ackermann closed the session by saying that storage is on the “same trajectory as other technologies.” CREA was pleased to have this panel present this cutting-edge research and development and will continue to monitor the progress of this fast-moving technology. Transmission, electric vehicles, wind power, solar power, energy storage and other electricity-related topics were part of a daylong downtown Denver conference sponsored October 30 by the Colorado Rural Electric Association. 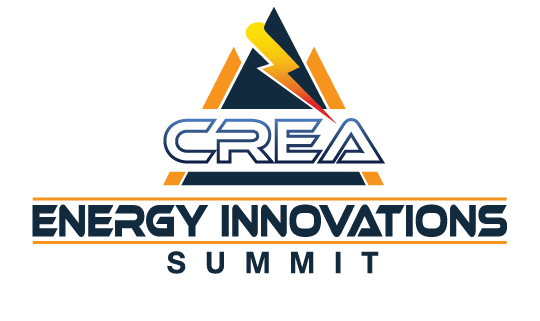 An audience of more than 300 people, including students from Mead Energy Academy and Pagosa Springs High School, attended the eighth annual CREA Energy Innovations Summit on October 30 in Denver. The attendees listened to experts from across the country who shared the latest developments in electric cars, renewable energy, power markets and energy technologies. The attendees included Michelle Ren and Julianna O-Clair of Brush and Tate Schrock of Anton, winners of CREA-sponsored EnergyWise Awards at the 2017 Colorado Science and Engineering Fair. The students presented their science fair projects during the vendor fair at the Summit. Following an opening panel of electric co-op experts discussing the changing industry, breakout sessions looked at the pros and cons of Colorado’s electric utilities joining a regional transmission organization and the state of electric vehicles in rural Colorado. Leading the RTO panel were representatives from co-op power supplier Tri-State Generation and Transmission Association, Xcel Energy and the Southwest Power Pool RTO. They discussed how belonging to an RTO would optimize the use of the generation and transmission assets for those utilities in the group and how that could lead to improved renewable integration while reducing production costs. They also reviewed the challenges of bringing all of these different entities together and calculating a regional tariff and various possible cost shifts. Meanwhile, a parallel breakout session explored how electric vehicles may impact the grid. It was noted that Colorado ranks 4th when it comes to EV growth. And, while much of the EV growth is in Denver, Gunnison County Electric Association CEO Mike McBride noted that drivers in GCEA’s territory have embraced the co-op’s EV and utilize the charging stations the co-ops have helped install. Brian Sloboda of the National Rural Electric Cooperative Association explained the research and information that the national trade association has available for co-ops promoting EVs within their territory. Dr. Martin Keller, Director of the National Renewable Energy Laboratory, was the featured speaker at the Summit luncheon. Dr. Keller discussed the work being done by NREL in renewable energy and the advances being made in renewable and storage technology. During the Summit’s afternoon sessions, a breakout session on distributed energy resources drew a standing-room-only crowd. The panel discussed the grid of the future and what it might look like as more electric users look to smaller power sources behind their meters to meet their needs. Utilities will need to move from just interconnecting with these customers to integrating with their power supplies, according to one panelist. New technology and new forecasting methods will be needed to make this all work. Other breakout sessions included a look at wind generation and an update on natural gas. Both panels showcased new technology that is advancing the efficiency and benefits of these resources. The day closed with a panel discussion on energy storage. Experts from the National Renewable Energy Lab, the Electric Power Research Institute and Tesla provided status reports on storage technology and how soon it will be reliable and affordable enough to complement renewables on the grid. Next year’s Summit is set for Monday, October 29 at the Westin Denver Downtown hotel. Did you know that nearly one in four Colorado households can’t afford to pay their home energy bills without skimping on other basic necessities like food or prescriptions? Fortunately, many of Colorado’s electric cooperatives and other supporters make it possible for Energy Outreach Colorado to provide year-round energy bill payment assistance in all 64 Colorado counties for senior citizens, families with young children, veterans and individuals with special needs. This year, EOC is providing nearly $7 million to help pay overdue home energy bills for low-income Coloradans. 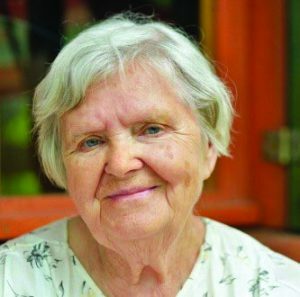 EOC distributes the funds through its statewide network of 95 community assistance partners that include senior support agencies, county human service offices, faith-based organizations and veteran support groups. These local partners accept energy assistance applications, determine eligibility and approve direct payments to utility or fuel companies to help struggling households catch up on their energy bills. EOC was established in 1989 by state lawmakers who wanted to ensure that Coloradans could remain warm and safe in their homes, regardless of decreasing funding for federal programs such as the Low-Income Energy Assistance Program (LEAP). Since then, EOC has worked with community organizations, energy companies, policymakers and individual supporters to deliver nationally-recognized programs to help low-income Coloradans afford home energy. To date, EOC has invested more than $255 million in affordable energy programs for low-income Coloradans. In addition to bill payment assistance, EOC manages programs to repair and replace nonworking home heating systems; manage weatherization projects to lower costs in single-family homes and apartments, affordable housing communities and nonprofit buildings; and educate residents about smart energy usage. EOC is also an active participant at local, state and national levels in the planning and implementation of affordable and equitable energy policies. One Coloradan who was helped through EOC is disabled senior Linda D., a long-time resident of Silverton in San Juan County. 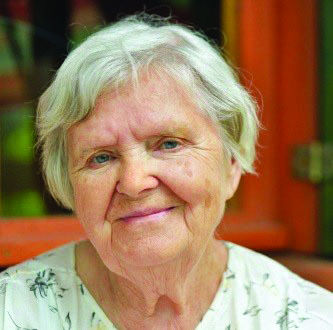 Because of a severe lung condition, she needs oxygen and weekly home intravenous treatments. Last winter she was diagnosed with cancer and spent several months undergoing radiation therapy and traveling to consult with doctors in Denver and Durango. She couldn’t afford to keep up with her home energy bill and was on the brink of losing her lights and heat, during which snowfall totals surpassed 200 inches. She was thankful and relieved when EOC paid the balance of her energy bill. Linda has since made a full recovery from the cancer. To continue to do this important work and help Coloradans like Linda, EOC has a monthly donor program called HEAT HEROES, which enables caring Coloradans to easily make monthly contributions on their energy bill or credit card. The HEAT HEROES are 10,000 special supporters who provide nearly $1 million each year for neighbors facing dangerous living conditions as they struggle to afford home energy. Monthly HEAT HEROES provide consistent help to keep a neighbor in need safe at home. The 2017 Powering the Plains bicycle team. EOC thanks Holy Cross Energy, Intermountain Rural Electric Association and Poudre Valley Rural Electric Association for being corporate supporters. Thanks to generous matching support from IREA and Empire Electric Association, their members’ donations to EOC are doubled to help more struggling neighbors in their own communities. In addition, the Powering the Plains bicycle team sponsored by Touchstone Energy Cooperatives pedaled thousands of miles to ride on behalf of EOC during the past six Pedal the Plains bike tours. With continued support from rural electric association partners, Energy Outreach Colorado can help Coloradans remain warm and safe in their homes this winter. You can become a HEAT HERO by making a warm-hearted monthly donation to EOC on your energy bill. For more information go to energyoutreach.org/monthly or call 303-226-5057. EOC has received 14 consecutive top ratings from Charity Navigator and is a Platinum-level participant of GuideStar. For Information about energy bill payment assistance, go to energyoutreach.org/get-help or call toll-free 1-866-HEAT-HELP (1-866-432-8435).